What is the Ventanilla Unica? Grupo Aduanal Lopezadri leader Mexico’s logistics company and Customs Brokers Agents welcomes you to this new blog, where we’re going to explain some new terminologies such as VUCEM, COVE and E-DOCUMENT that are being used on the Customs Process when shipping to Mexico. 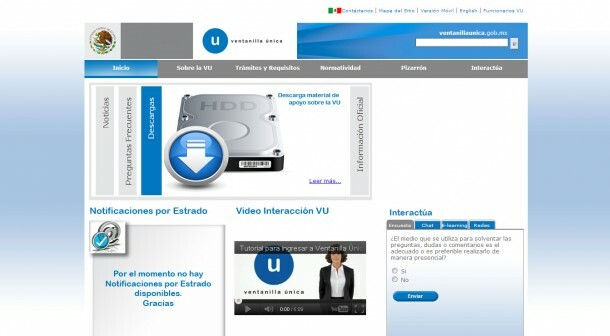 Last year the Mexico Government launch a new portal named “Ventanilla Unica de Comercio Exterior Mexicano” most know as VUCEM, an official website that works as a unique window for international trade community in order to comply with new customs procedures and with the purpose to start a digital database that will help the government to have better control of the imports and exports operations. Today is mandatory to use the VUCEM for all Import and Export operations in Mexico, in this portal the most popular procedure is to declare the Commercial Invoice by submitting the complete information to obtain a code named “COVE” Comprobante de Valor Electrotico in english “Electronic Value Voucher” this code is typed or declared on the official entry document named pedimento. At the same time you’ll need to use VUCEM to scanned all Certificates, such as Nafta Certificate or any other document or permit that will assist as Customs Compliant process. All scanned documents are named E-Documents in reference of the electronic documents, same as the COVE, you get a code that is typed or declared at Customs Entry Pedimento. All this process may be done either by the Importer of Records in Mexico or the Customs Broker Agency doing the importation into Mexico. As you can see Mexican Customs Authority is now a day taking advantage of the technology, creating a big database of all the shipments when importing or exporting from Mexico. On behalf of Grupo Aduanal Lopezadri a 3PL Logistics company and leader in the Mexico Customs Brokerage business, we want to thank you visit again our blogs, there is more information coming in the following days. Don’t forget to contact when you Export to Mexico. This entry was posted on martes junio 3, 2014 at 10:57 pm and is filed under Exporting to Mexico. You can follow any responses to this entry through the RSS 2.0 feed. You can leave a response, or trackback from your own site.